The NHLPA will present a unique evening of style and philanthropy with the NHLPA Charity Fashion Show. The event will benefit the Winnipeg Jets True North Foundation and five local charities. 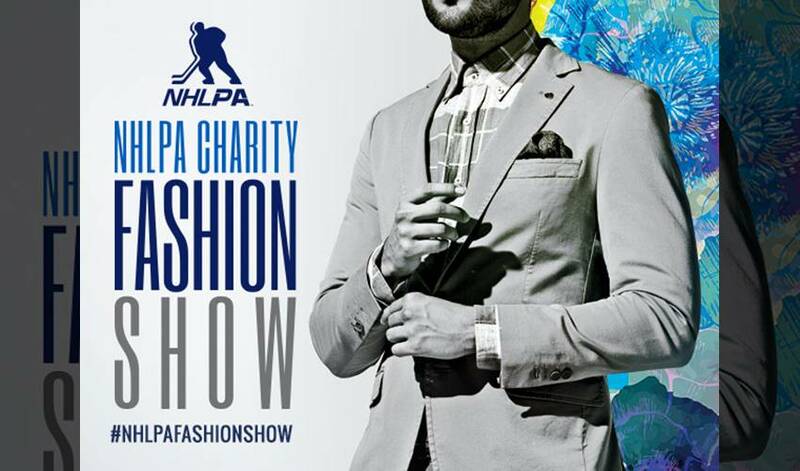 TORONTO/WINNIPEG (October 22, 2015) - The National Hockey League Players’ Association (NHLPA) will present a unique evening of style and philanthropy with the NHLPA Charity Fashion Show. The event will benefit the Winnipeg Jets True North Foundation and five local charities. This inaugural event featuring Winnipeg Jets players will be held at the RBC Convention Centre in Winnipeg on December 8, 2015. The event will showcase Winnipeg Jets players walking the runway showcasing top brands from Best Seller, Estee Lauder, Nobis & Waldan International. The fashion show will directly benefit the Jets’ True North Foundation, as well as The Boys and Girls Club of Winnipeg, KidSport Winnipeg, Children’s Hospital Foundation of Manitoba, Marymound and Can DO People Inc. – all charities that have been chosen by the players. Winnipeg Jets season ticket holders receive a special pre-sale offer of tickets beginning on Friday, October 23rd at 10 a.m. CDT until Sunday, October 25th at 10 p.m. CDT. Tickets for the general public go on sale on Monday, October 26th at 10 a.m. CDT. Tickets to the event cost $125.00 and are available through Ticketmaster.ca.